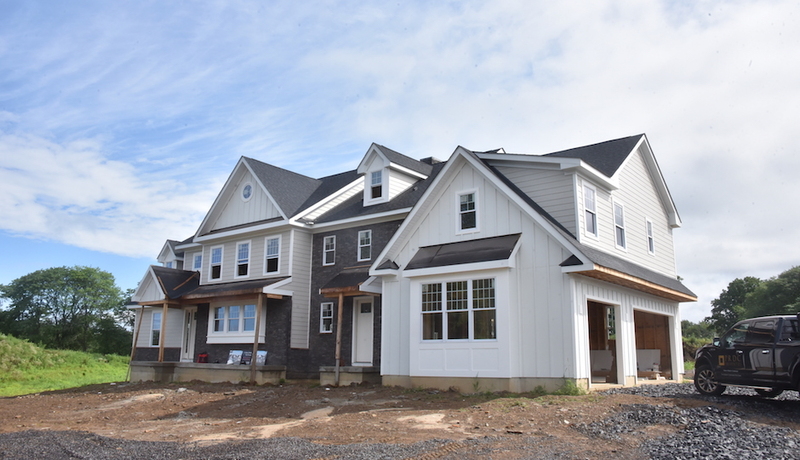 PRDC Properties’ newest development will bring 11 custom homes to a patch of Central Bucks farmland in Chalfont. 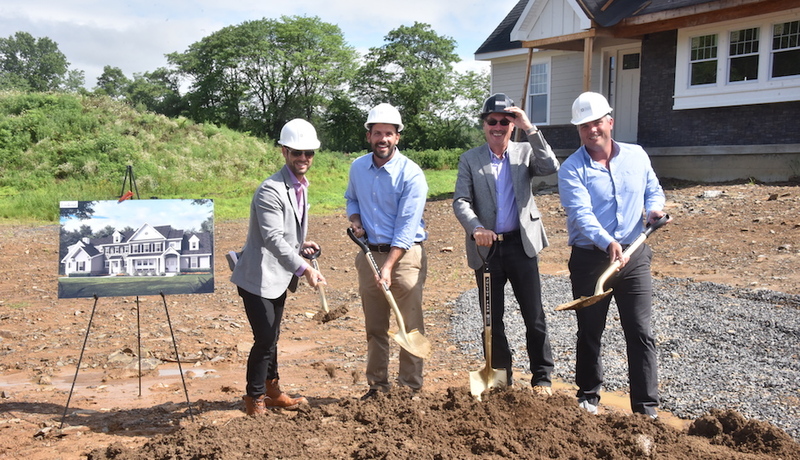 With their nearly completed model home as a backdrop, executives of PRDC Properties formally broke ground July 24 on their latest residential project, this one in the Bucks County suburbs. This project, Julius Farm, will consist of 11 custom farmhouses in the craftsman style. Each home will sit on at least two acres of land along a curving cul-de-sac in Chalfont. While the homes won’t have farmland attached to them, they will be surrounded by protected farmland, county parkland, and forests, all of which will preserve their country character. The homes will be quite large as farmhouses go. Each of the two models — the Homestead and the Lookout — will contain at least 4,000 square feet of interior space, a three-car garage, four bedrooms and three and a half bathrooms. The Lookout model has a two-story-high main living room with a dual-sided fireplace separating it from the dining room and kitchen, while the Homestead has a more open main living area, a first-floor master suite, and flexible space on the second floor. A large second-floor room in the Homestead model can be configured for use as a home gym or theater. Both models include plenty of storage space in the basement, where a family/entertainment room can be added as an option. The nearly completed model home is a Lookout model. On hand for the ceremonial groundbreaking were PRDC’s top executives: Chief Executive Officer David Perlman, President Jon Thomas and Chief Operating Officer Brandon Morrison. Joining them were New Britain Township Manager Eileen Bradley, Mike Campbell from Republic Bank, Tom Flavin of PNC Mortgage, Campbell Agencies owner Scott Campbell and Art Mazzei, owner of Addison Wolfe Real Estate, the development’s official broker.